Photo to right: Me, as a boy. My dad took this photo at the Wisconsin State Fair, where we went as a family almost every year when I was growing up. I love all my web visitors in the Lord. You are my prized possessions! Luke 12:34, “For where your treasure is, there will your heart be also.” Galatians 4:19, “My little children, of whom I travail in birth again until Christ be formed in you.” 1st Corinthians 16:9, “For a great door and effectual is opened unto me, and there are many adversaries.” I ask for your continual prayers for me, this ministry of truth and love, and the salvation of souls. I apologize for my lack of e-mail contact. I truly am overwhelmed with constant neck pain, and it depresses me somewhat. When you're in pain, even small things can seem difficult and a burden. So I do what I can and then take it easy, and then go back to whatever I was doing, and then need to rest. I'm taking 100 mg daily of prescription Oxycontin for pain, which has been a blessing. I've taken all sorts of prescription pain medications over the years. If you're interested, you can read more about my neck injury. I was born and raised in Chicago. I lived there for 37 years. My mother was from Sweden. Her father died in Sweden, before my mom (at age 13) and her mom came to the United States. My dad grew up in Escanaba, Michigan. My parents met in Chicago. I was born in 1967. Although I began in public school, my parents enrolled me in three different Christian schools. For one reason or another, it didn't work out and I bounced back-n-forth between Christian and public schools. I am thankful that my parents enrolled me into an independent fundamental Baptist church school from the 6th grade until I graduated high school. Our beloved pastor was from Hyles-Anderson College (HAC). So when I finished high school, that's where I went, HAC (and it was the privilege of my life!). I miss all my high school and HAC teachers, and they are all dear to me (all of them). I miss my pastor and his family, and all my awesome high school friends. We got into some of trouble, but it was the kind of trouble good kids get into. 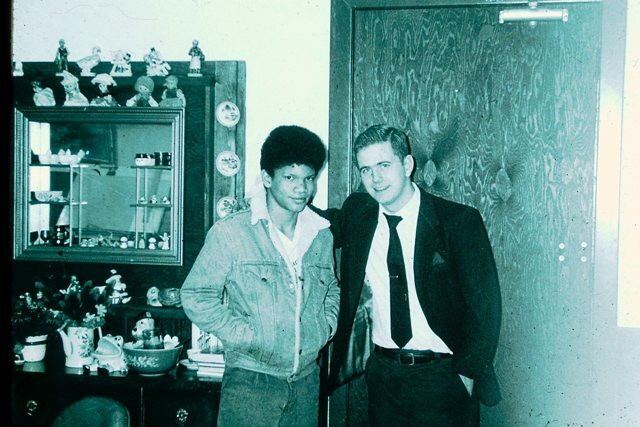 I had a precious teenage life in our Baptist church in Chicago. The church moved to the Southside during my highschool years. Thank God for pastors and churches! There's no perfect churches, pastors or Christians, but we have a perfect dear Savior, Jesus Christ! The Lord is good. ABOVE: Me in Chicago as a boy. I attended Hyles Anderson College (HAC) from 1985 to 1993. Dr. Jack Hyles is my hero. After I graduated from HAC, I went to voluntarily work with my minister father on Chicago's notorious high-crime, gang-infested, Westside. 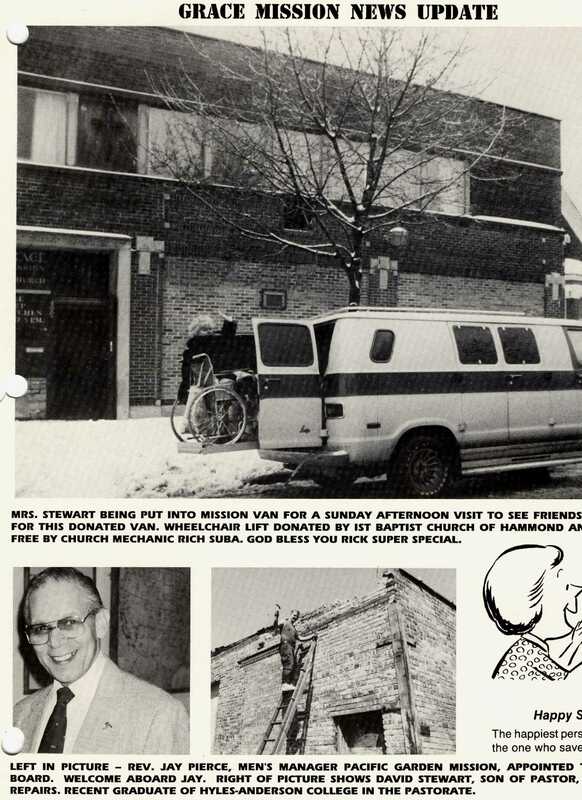 In 1982 my father founded Grace Mission Church (but we functioned as a rescue mission) on Chicago's West Side at 400 N. St. Louis. 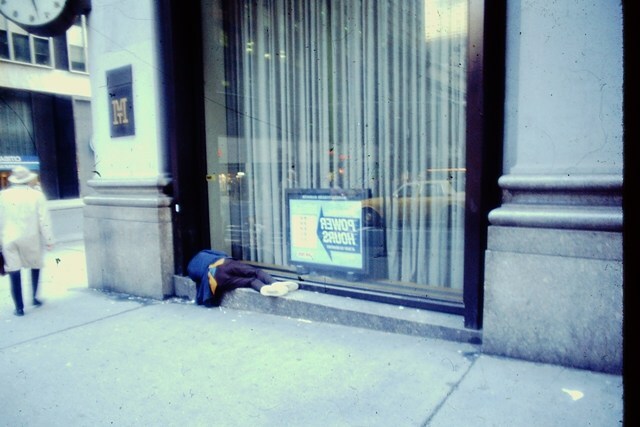 The old Skid Row mission downtown Chicago (where I grew up, tagging along regularly with my dad) was located at 34 S. Desplaines (now a parking lot). Here's some photos below of me as a teenager. The photo below on the left is in front of the mission at 34 S. Desplaines in downtown Chicago. This was on Christmas Day. Gangster Al Capone used to regularly hang out next door at the Legion Hotel. It had a big balcony in the front. During The Great Depression era, the Legion Hotel was one of the most ritzy places in Chicago. I watched wrecking crews demolish the vacant building years later. They didn't completely tear down the north wall though, because it was connected to the mission. The hotel had been completely abandoned years earlier and was waiting to be tore down. We took a look and found an old Coca-Cola bottle machine in the Legion Hotel and brought it into the mission. My dad ordered 10 ounce soda bottles from Coke. My dad would give my quarters to buy sodas. Just 25 cents! Cool! The photo on the right is the back of the same mission. I used to shoot super rats off the garbage pails you see (there's about 5 of them) with my Daisy pump BB rifle. That's me as a young teenager on the right in both photos. The photos below are both of the same mission at 34 S. Desplaines. The photo on the left is likely from the Great Depression Era. I am not sure of the date. The mission was founded in the late 1800's. My father was one in a long line of faithful men of God who directed the mission. 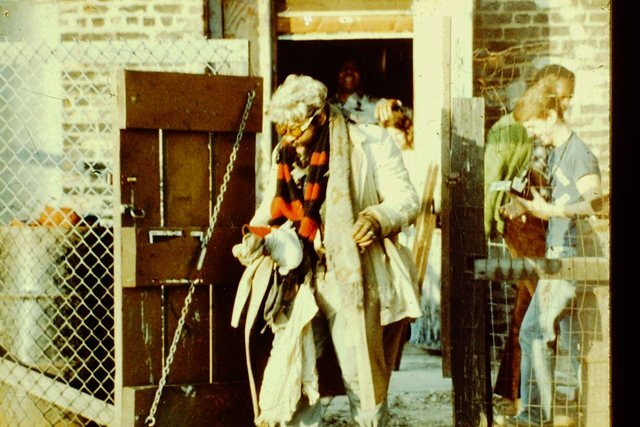 When Chicago's urban renewal program came into force, they drove the homeless away. Many died in the cold under the influence of booze. 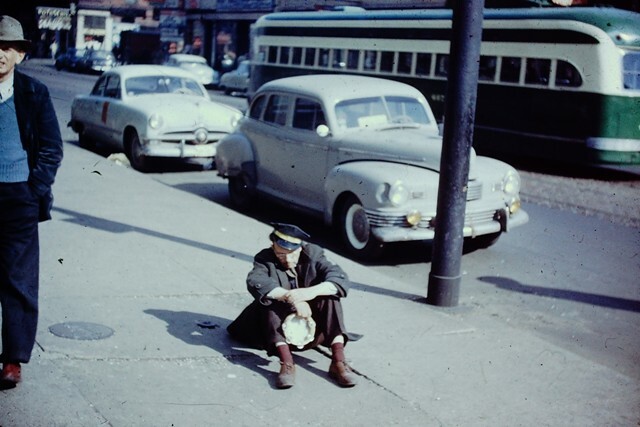 Doctors, lawyers, military commanders, every walk of life, were present amongst the Skid Row men. This is what sin does, and mental illness, and epilepsy, to people. Booze and drugs were common. 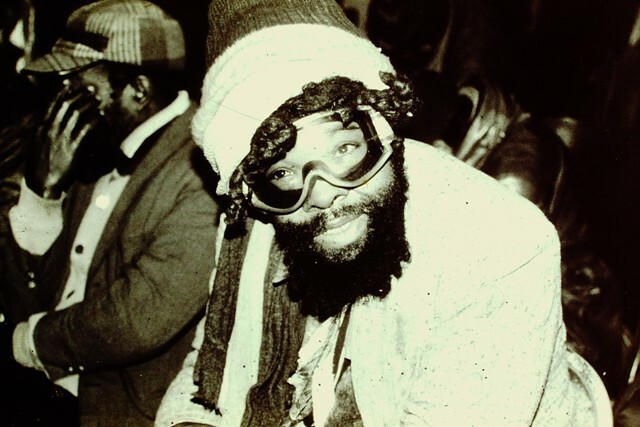 We had men caught drinking paint thinner, sniffing glue, drinking vanilla extract, smelling gasoline anything to get high. The photo on the right is the front of the mission. Seeing men like this laying on the ground was almost a daily occurrence. Someone who doesn't know any better might view this photo as coldness toward the homeless by the church, but in fact, they are here because they know someone loves them here and help is always a door knock away. 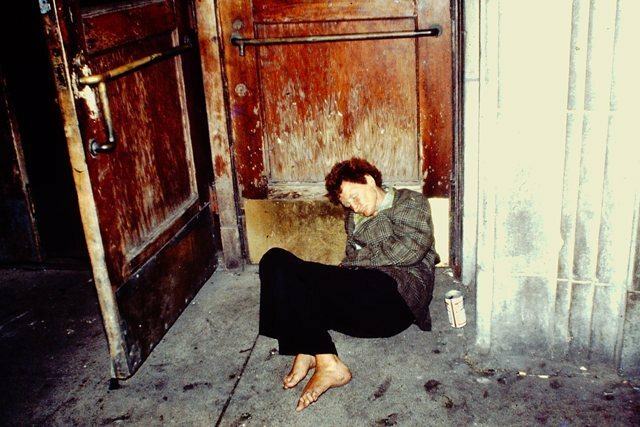 In the brutal winter, hundreds of men (and yes, some women even) slept on the mission floor downstairs to escape the murderous cold. I watched constructions crews erect the Presidential Towers from the bedrock up to the very top. The photos below were taken at the Grace Mission Church at 400 N. St. Louis. The cool looking guy standing next to me in the photo on the left is Chino, one of my bus kids from the First Baptist Church of Hammond, Indiana. I worked the 76-3 bus route for 7-years (1985-1992). I voluntarily worked with my good friend Rick Suba (FBCH church mechanic) my last year (1993) of HAC in the FBCH bus garage in Hammond. Brother Rick was amazing as a mechanic, incredibly patient, and I enjoyed working with him. The photo below of Chino and me was taken at Grace Mission Church. Chino didn't have a father figure in his life, so I became like a big brother to him. We used to go perch fishing at 5 A.M. in the morning down at Navy Pier (back before it was renovated and parking went from a quarter an hour to $12 an hour). Me and Chino went dozens of times fishing together, and caught several hundred Jumbo Perch power-line fishing off the end of the pier. We'd stop by Franks Bait Shop early in the morning before sunrise, loading up on crawdads for bait. The perch bit best right at sunrise. You'd fill a 5-gallon bucket with water. Then throw out a weight with a rubber band and line attached to a bell, then pull it up, load your bait, let it out, and FISH! There's nothing as exhilarating as feeling those fish tug on the line, except taking a bus kid fishing! Amen! The photo on the right is me preaching to our guests in the upstairs chapel at the mission. Oh, how people need the Lord! The above photos were taken at the Chicago United Mission located at 34 S. Desplaines in Chicago, where I grew up. My father was a skilled photographer, working for the Chicago-Tribune for 25 years as a type-setter. He took nearly all of the photos on this page. He taught me that the way to keep the money coming into the mission was with a camera and slide projector. He would call churches and request the opportunity to present the mission with a slide show of the ministry. 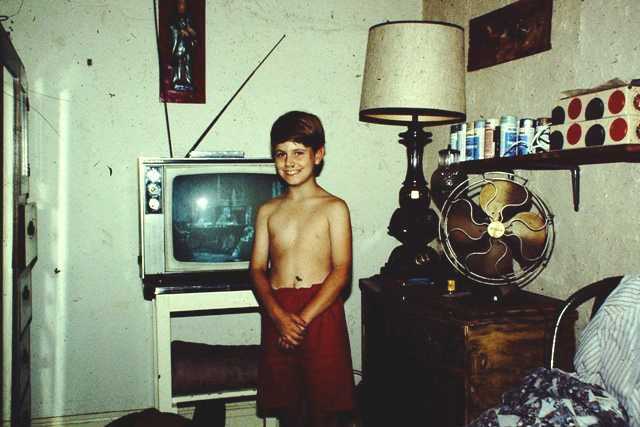 I regularly went with my father and mother while growing up, and we'd show slide projector presentations (these are some of the photos). 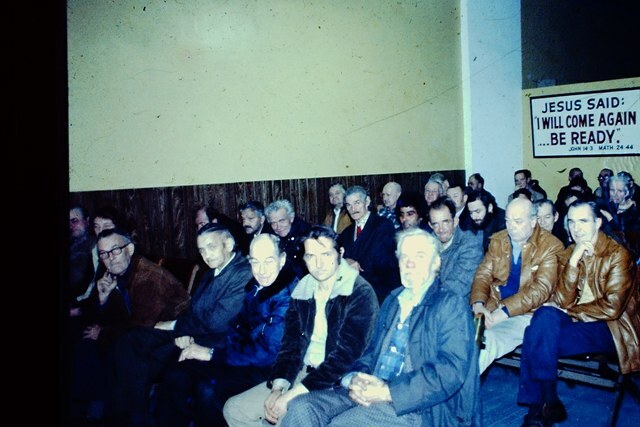 My father often preached at Pacific Garden Mission, the Serviceman's Center at the Salvation Army, Christian Industrial League, Olive Branch Mission and other rescue missions in the city. 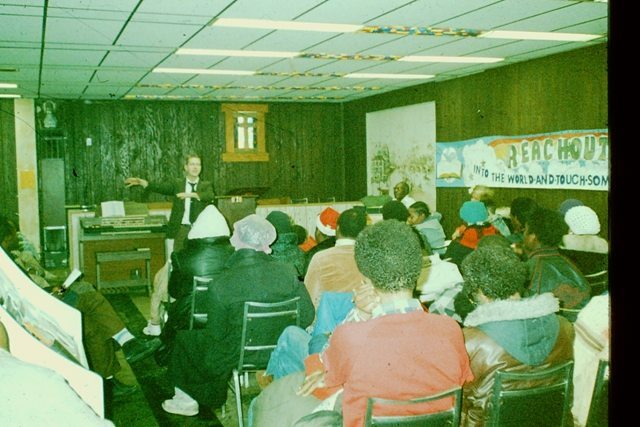 My dad directed the Gospel League Home for Women and Children for a few years, while at the same time running Chicago United Mission. The above photo on the right is the front steps of the mission. 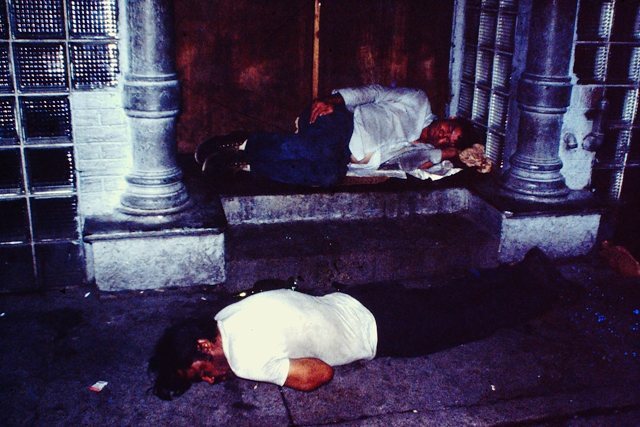 Hundreds of homeless people slept on the mission floor during the bitter cold winters at night. Hot soup with bread and butter were provided. The guests would cover their heads with loose clothing while they slept, because rats ran the floors and sometimes would bite. We had cats, but the rats were bigger than the cats. Even with rat poisoning, it was always a battle against the rats. I attended many funerals with my father, just us and the corpse, where he prayed over a drunkard who had died with no family whatsoever. Truly, the Devil is a beautiful liar! Sin always thrills and then it kills! The above photo was of one of our regular guests at Chicago United Mission, named Captain Marvel! That was what he called himself. Gotta love people! 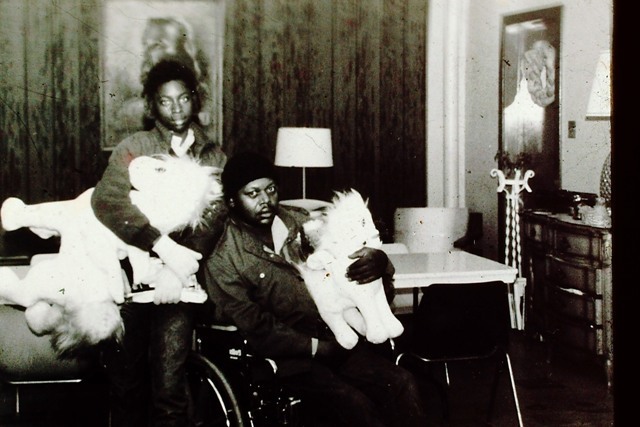 Above: This is an older photo from the Chicago United Mission mission archives, before my time. The above photo my father took in downtown Chicago, near the mission. Notice the beer can next to this dear woman. 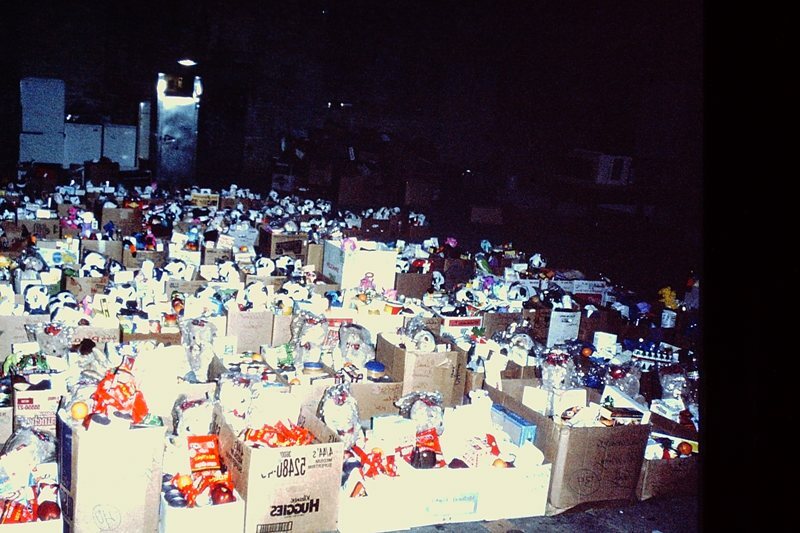 Below is a photo of how much food was distributed to the poor on Christmas Day at Grace Mission Church. Hundreds of needy people attended regularly. We took names weeks in advance and gave out call numbers, to make sure our regular people, who truly needed the food, received the food. There's no mirror in the photo below, that's all boxes of food to be given away! I regularly helped my father at the mission, picking up food at the Chicago Food Depository, preaching and just about everything. We did it all for the Lord Jesus Christ! The above photo is a classic. What a beautiful picture! Gotta love people! This was taken by my father upstairs at Grace Mission Church on one of our big ministry days throughout the year. The building at 400 N. St. Louis was originally a factory for electrical components. 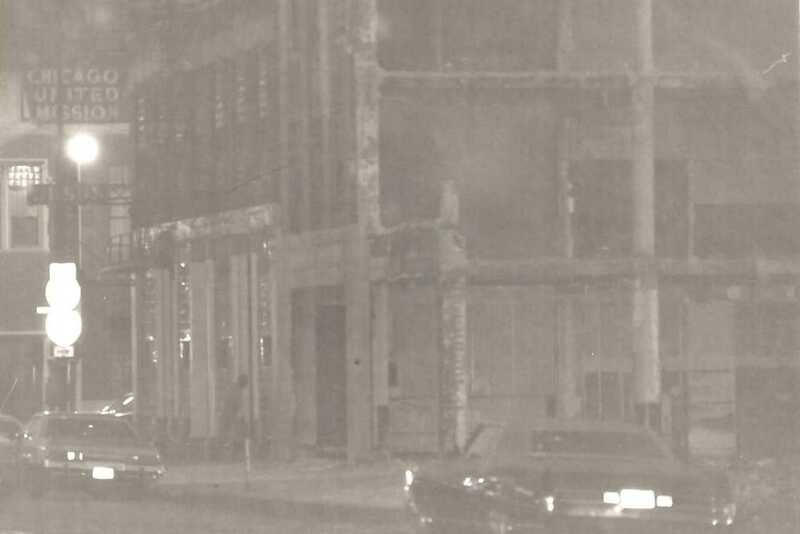 My father and mother were looking for a building to relocate their ministry from downtown Chicago, because the City of Chicago's urban renewal closed down all the rescue missions. My parents obtained the unconverted building in 1982. My father worked diligently, renovating the building for ministry use. I helped my dad regularly, and preached every Sunday after I graduated from HAC in 1993. We were always working on the flat roof, which leaked continually. It was normal to have buckets here and there, catching leaking rain water from the roof. Each summer we'd tar the roof, I carried hundreds of rolls of tar paper up the ladder over the years and did my share of roof repair! I once fell back onto a 2" x 12" beam that was cut half-way, where a large portion of roof was missing. Thank God I wasn't as heavy as I am now, or the beam would have cracked, and I would have fallen 25 feet down onto the concrete. Thank you Lord! 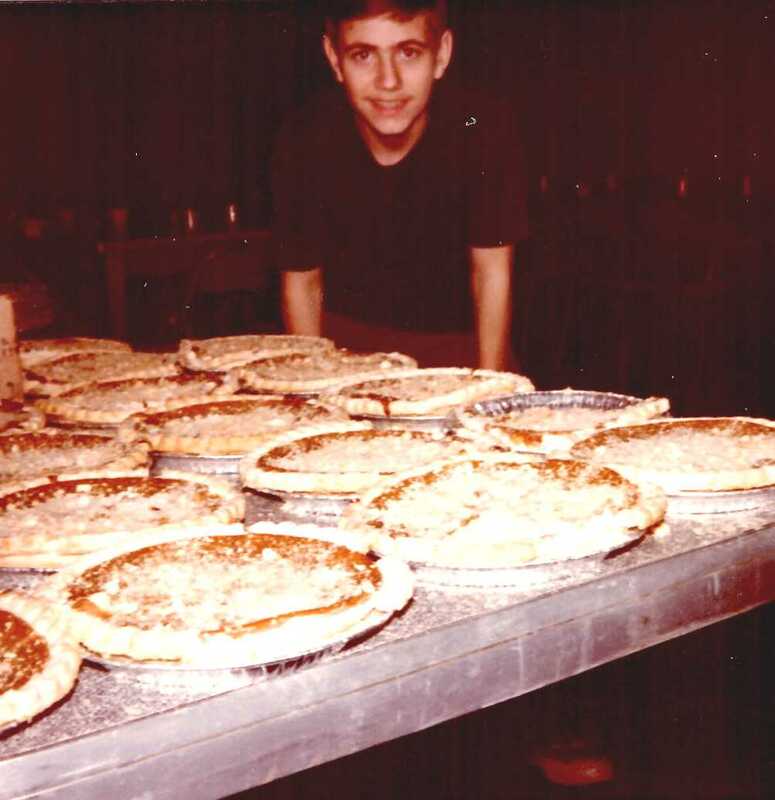 The above photo is of me in 1980 (13 years old), serving pumpkin pie on Thanksgiving Day at Chicago United Mission. That was my task, to cut and serve slices of pumpkin pie. Yes, I did eat my share of them...emmm! Here's one of the mission bulletins below from 1993, where I'm pictured doing tuck-pointing work on the back of the mission. That's my mom, who had a crippling stroke in 1989. My dad is behind the camera. Mechanic Rick Suba from FBCH and myself installed the wheelchair lift into the mission van for my mom (pictured below). My parents so much appreciated that gift from FBCH. 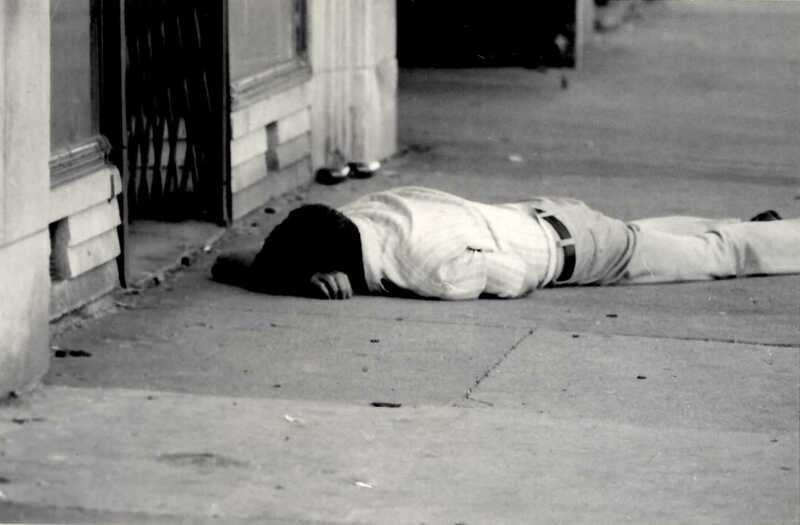 Below photo: No one ever plans to end up like this in life, lying on Skidrow, but Satan tricks them. The Devil shows people the neon lights and good times, but he never shows people pictures like this... Skidrow! This is where sin often leads. Sin fascinates and then it assassinates. Sin thrills and then it kills! Oh, how young people today need to be taught the Holy Bible. The photo below is of my mother, me, and my two biological sisters, Becky and Naomi. 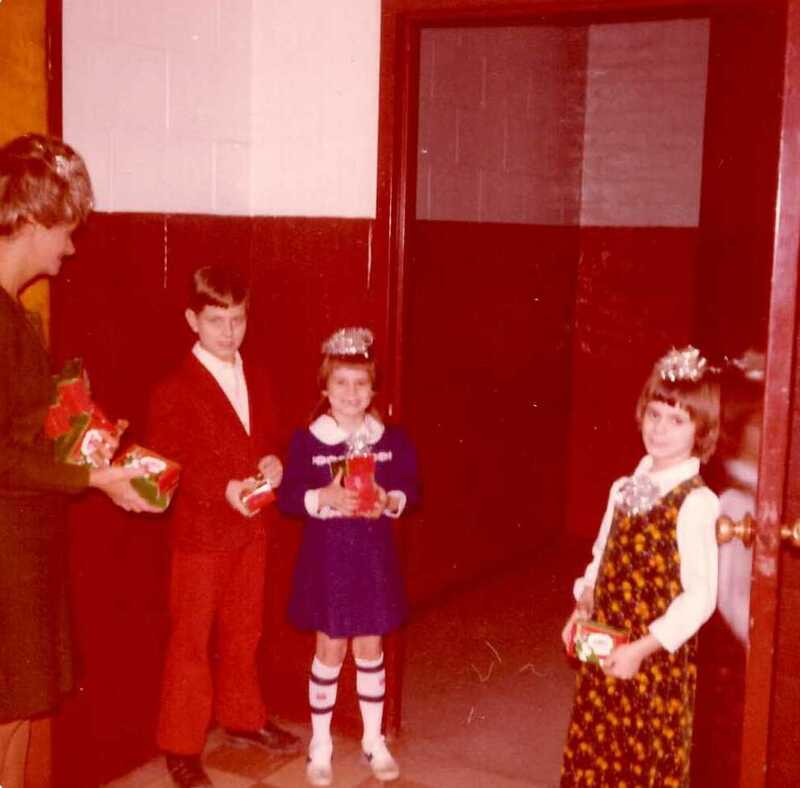 This picture was taken around 1975 at the Olive Branch Mission in Chicago at Christmas time. 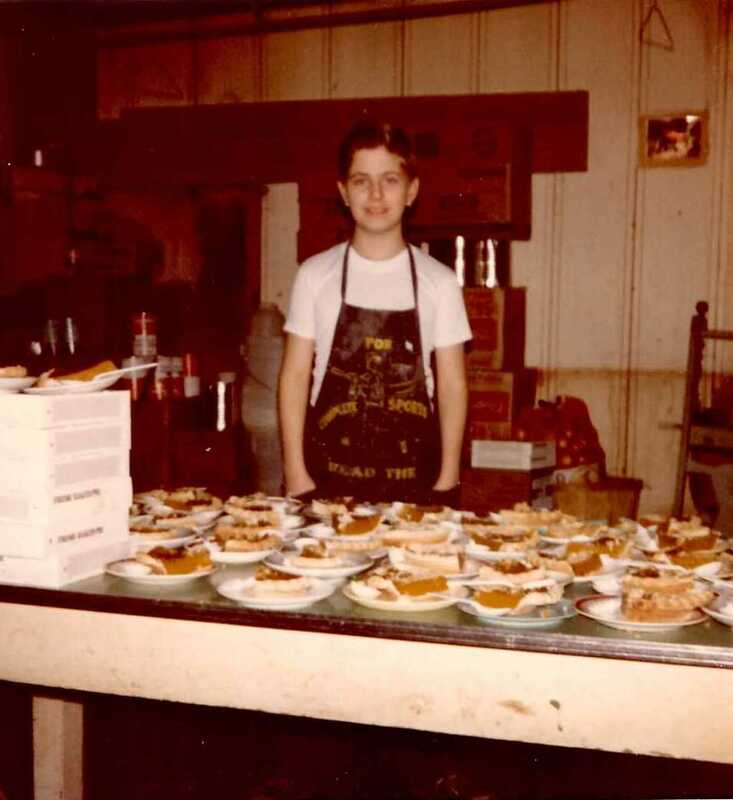 The photo below on the left is yours truly serving pumpkin pies in 1981 on Thanksgiving Day at Chicago United Mission. We always served baked turkey rolls with gravy (or baked ham), boiled potatoes, mixed vegetables, bread and butter, cranberry sauce, and pumpkin pie. For beverages they had powdered milk. 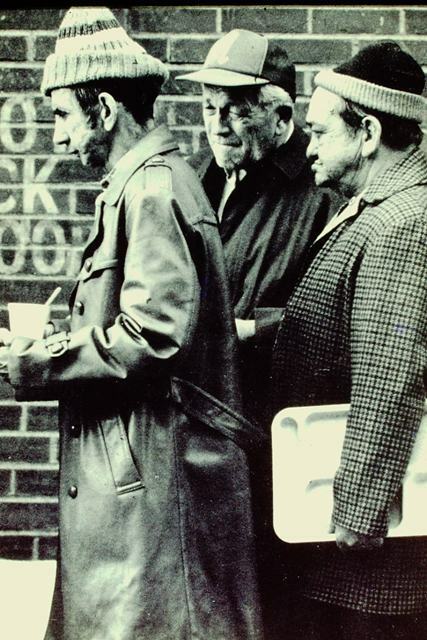 The Chicago United Mission was open 7 days a week to feed the poor, and provided overnight shelter during the cold winter months. 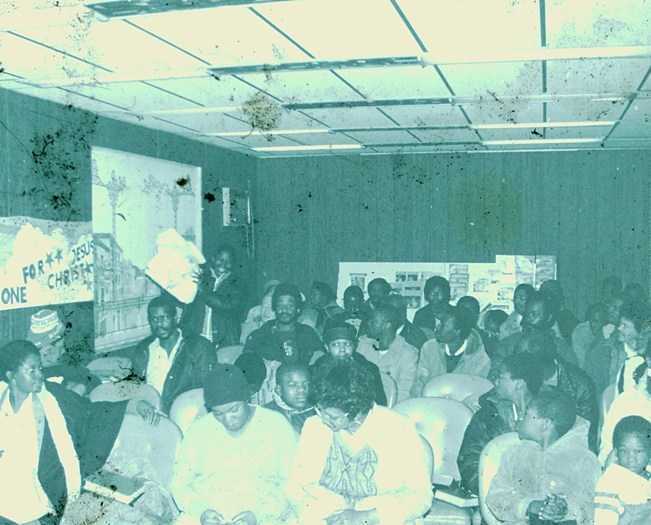 There were always 12-15 men whom my father allowed to stay at the mission, trying to help them get back on their feet from off the street. I got to know them well. They left me alone. No one dared mess with the pastor's brat! 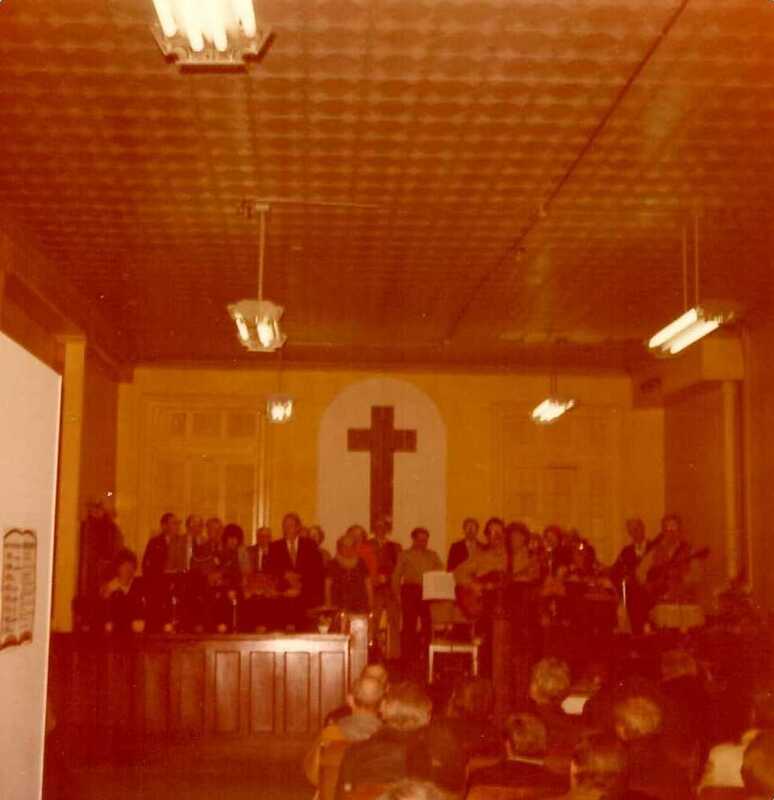 The photo on the right is the mission's “Stringband,” which met regularly to perform old-fashioned Gospel music (hymns) for the Skidrow men in the audience. My mom is playing the piano to the left in the picture. Below is a photo of my mom (Barbara) playing the piano with the mission Stringband (see above picture... mom's sitting all the way to the left). This picture was taken sometime around 1980. You can hear her playing an upright piano at home here, and here, and here. The old upright pianos have a distinct memorable sound. My mom is playing a grand type piano below. She never played anything other than wonderful Gospel hymns and medleys. My mother went to be with the Lord in August of 2001. She often played piano at Pacific Garden Mission and my dad preached. Below is a photo of the front of Chicago United Mission (see the big sign in front of the mission). You can see the remains of the once popular ritzy, “Legion Hotel,” where Al Capone liked to stay. Prostitution, gambling, booze and all manner of wickedness were common. Notice the “JESUS SAVES” sign on the front of the mission. 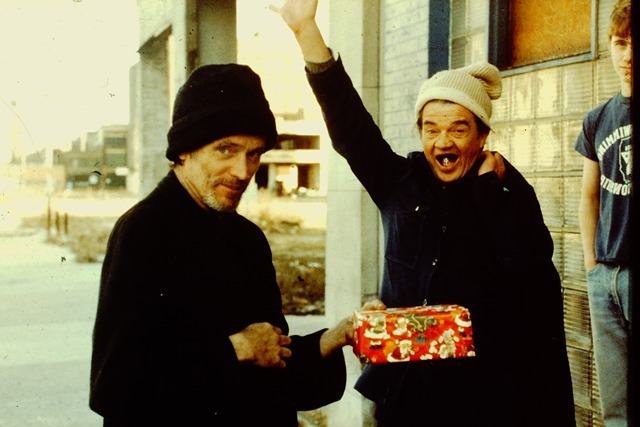 Only Heaven knows how many broken lives were rescued from the cruelty of the streets, and whose souls were saved by hearing and believing the Gospel over the decades. The City of Chicago's urban renewal eventually forced all the missions to close down. Many of the men died on the streets in the winter cold. I watched construction crews (from the front steps of the mission pictured below) erect the four Presidential Towers from the bedrock up to the very top. When the mission downtown was closed, my parents continued their work for the Lord on Chicago's crime infested Westside. 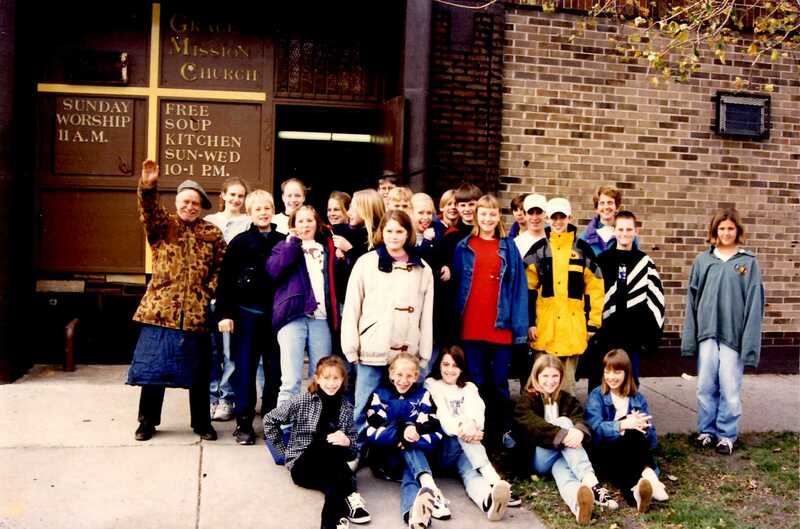 Below are some of our regular neighborhood guests at the Grace Mission Church, which was founded in 1982. This is the upstairs chapel. Gotta love people! 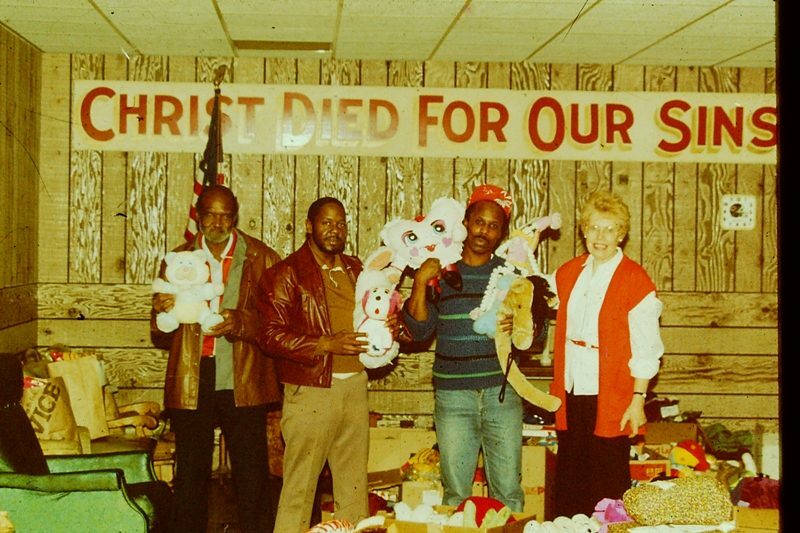 Below is a photo of my father (Arnold, the mission director, pastor, maintaining man, cook, you name it), and one of our regular church youth groups that volunteered to help serve the poor on the holidays (our big days at the mission). The mission was supported solely by outside funding from individual Christians and mostly suburban neo-evangelical churches. My father was the hardest working man I ever knew. Easter, Thanksgiving and Christmas were our biggest days. To God be the glory, great things hath He done. 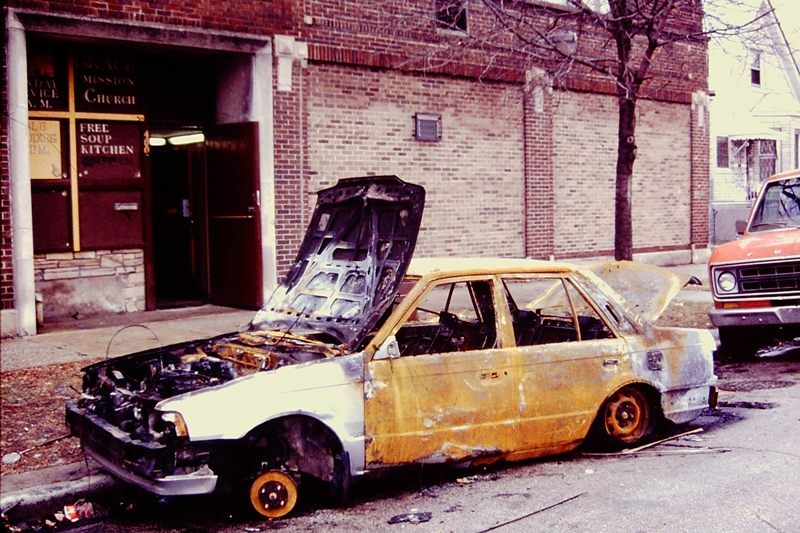 The photo below is of a stolen, stripped, burned and abandoned car in front of the mission, which was very common in the neighborhood. Chicago's Westside is notorious for gang activity, high crime, illegal drugs and poverty. The cars were often involved in crimes, which is why they are burned to hide evidence. Thefts and break-ins were a continual problem at the mission. My father intentionally left doors to rooms filled with food when he left to go anywhere, so if any thieves broke in they'd steal the low-cost food instead of his expensive camera equipment, checkbook, et cetera, behind locked office doors. He had eight deadbolt locks on his office door. Drug addiction fuels most property crime and theft. My dad taught me, “You've got to think like a thief!” That's the reality of inner-city mission work! Thieves had crawled up the electrical pole in back of the mission and tore a hole through the roof to steal. So my dad took thick automobile wheel-bearing grease and lubed the utility pole from top to bottom. That worked! One day the mission phone stopped working. Thieves had climbed on the mission roof from the adjacent home, and stolen the copper telephone lines in back of the mission! From the youngest to the oldest, if it wasn't bolted down, it disappeared. For fun my father used to wrap up bricks and garbage with gift wrap, setting the packages out in the feeding area downstairs. Sure enough, someone always stole the packages, and when they got home and opened it, they found bricks and garbage!!! 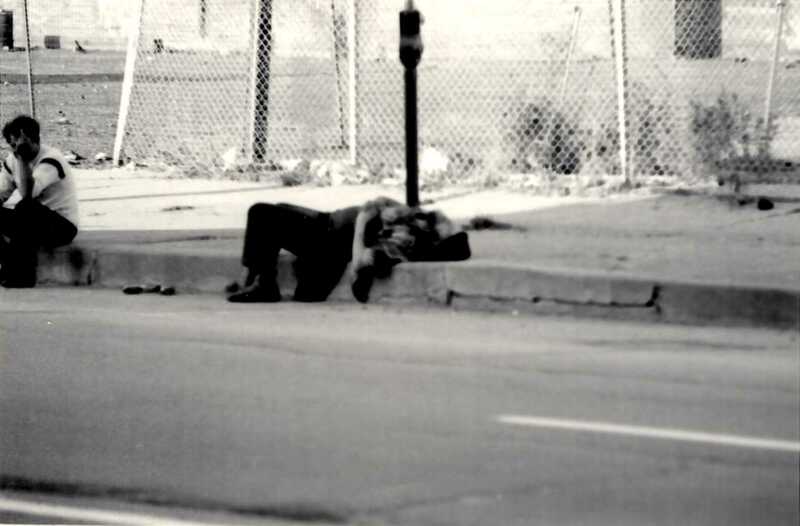 The above photo of a homeless man was taken directly across the street from the Chicago United Mission at 34 S. Desplaines. The mission was eventually torn down and is a parking lot today. 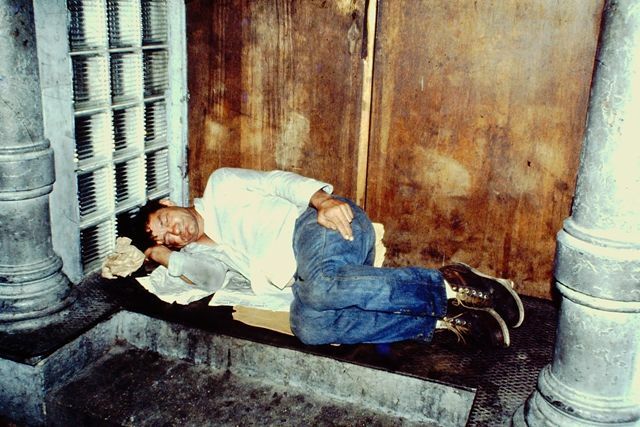 After work on many occasions, close to midnight, I used to go downtown to where the old rescue mission once stood, praying for God to use my life to serve Him. This was between 1987 to 1993 as I attended Hyles-Anderson College. I wept and poured my heart out to God, begging Him to use me for His glory. I sincerely believe that my present online ministry is the fulfillment of those many nights in earnest prayer, over the old ruins of the Chicago United Mission. I went there because the place was special to me. To passersby it was just a parking lot, but as you can see from the photos, it meant much more to me. 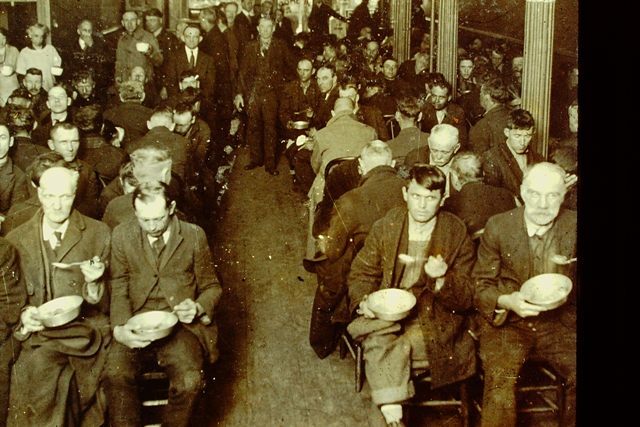 For over a century it was a Skidrow rescue mission! The photo above is one of our precious kids at our annual Vacation Bible School (VBS) at the Grace Mission Church. 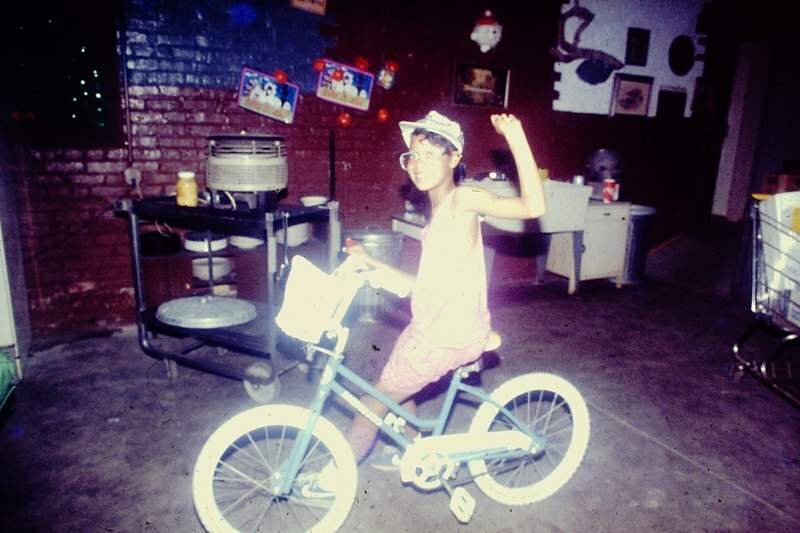 This poor little girl was given a free bicycle. God provided the mission's every need. God always blesses hard work and prayer! By the way, you're welcome to download and share these photos online. I love sharing with others.  You're welcomed to use, share or republish anything from my websites. Below is a photo of one of the Christian volunteers, who came down to the mission to serve the needy on holidays, and three of our welcomed guests from the local neighborhood. God sure is good! 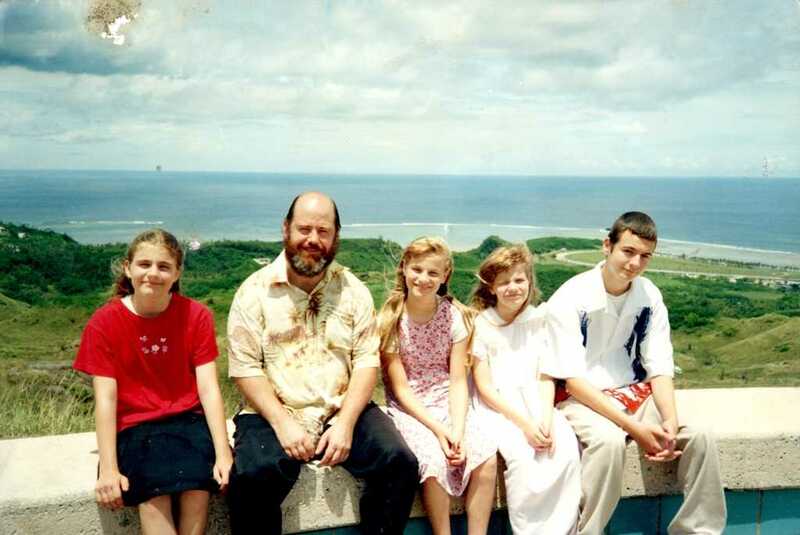 And finally, below, here's a photo of myself and my four precious beloved children: Lynda, Crystal, Darla and Robert. This photo was taken several years ago. They're all in their twenties now. God is good!